You Are In Our Thoughts Sara! I haven’t been to the dentist in years; what should I expect at McCreary Family Dentistry? My gums are shrinking! Today our Patient Care Coordinator, Sara, is going into surgery for a brain tumor. She has named her brain tumor George, as in Curious George, because he's not doing any harm, but he's up to no good and has to go! 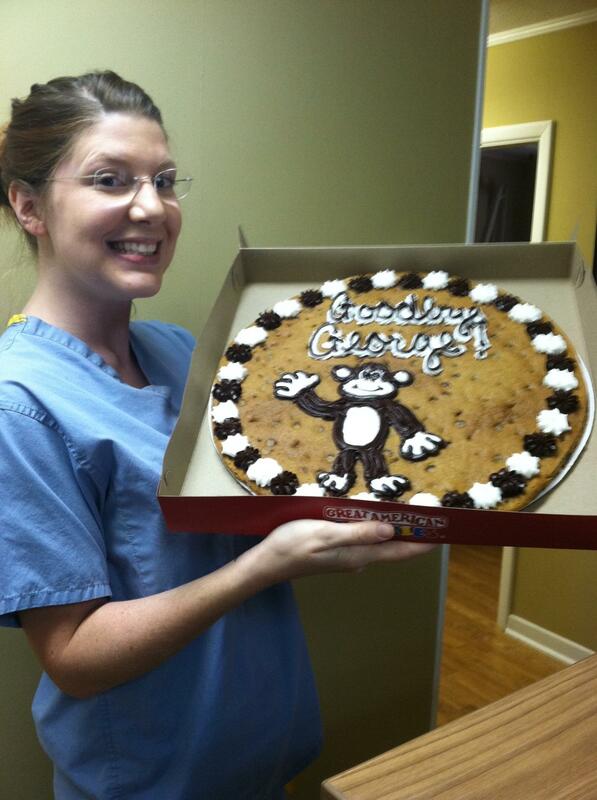 On Friday we gave her a "Goodbye George" cookie cake and she loved it! We will keep everyone updated on her recovery and we are looking forward to welcoming her back to work in December! Please keep Sara in your thoughts today and as she is recovering back to full health!